Reimagine your workspace with the sleek HP Z6 and HP Z4, from our most powerful line of PCs and the world’s most secure workstations. 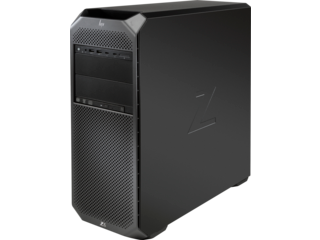 Designed to thoroughly outperform the competition and satisfy even the most demanding professionals, HP’s Z4 and Z6 workstations are a true industry standard. 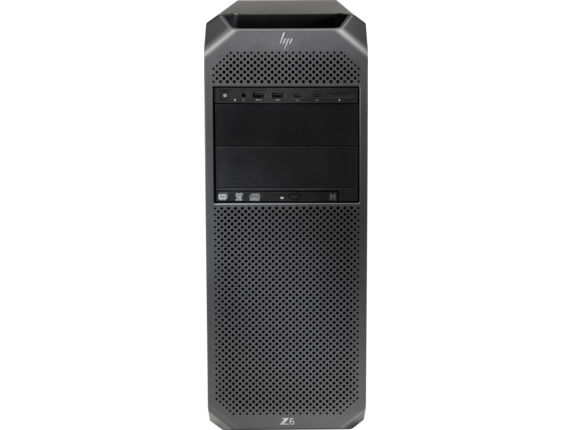 They’re loaded with Intel® Xeon® processors, plenty of memory and storage, and versatility and space for your own customizations. And that’s just the start. Enjoy the benefits of serious base power and then save thousands when you decide to upgrade your HP Z4 or Z6 to the stars. With revolutionary interior acoustics and next-generation thermal design, you get all the perks and none of the typical drawbacks from adding more power. Clock out your build without burying yourself in noise. 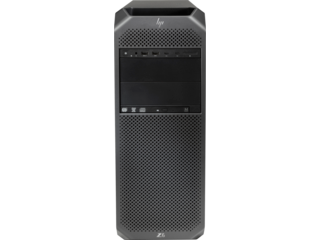 The HP Z4 G4 Workstation is more than just the first point of entry into our topshelf line of workstations, it’s also our bestselling performance workstation. Starting out with a 4-core Intel® Xeon® W2123 processor and 8GB of DDR4-2666 ECC SDRAM, the Z4 has some lofty options when you take upgrades into consideration. Max out with as many as 18 core processors, fill 8 DIMM slots for up to 128GB of memory, or expand your storage capacity to the limit with space for 12TB worth of hard drive. If you’re a designer, life just got a lot simpler. The Z4 is specifically designed with you in mind, so expect it to keep up when you’re navigating multiple 3D or drafting environments. The Z4 also comes with advanced security features and our standard self-healing BIOS, alongside a suite of access features to protect your data. 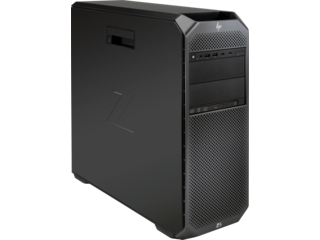 If your profession requires a true workhorse, consider the future-proofed and highly customizable HP Z6 workstation. The standard Z6 begins with an 8-core Intel® Xeon® Silver 4108 processor and 8GB of DDR4-2666 ECC SDRAM. However, just like with its more compact cousin the Z4, there’s plenty of space to adapt for whatever the future brings, including 12 DIMM slots for additional memory. The Z6’s upgrade potential doesn’t end there. When the going gets rough, the Z6 can be comfortably scaled up with 48 core processors, 384GB of memory, and as much as 24TB of storage. Or maybe you live and breath design? For your most complex projects, we know that you need clarity and elite performance every time. With a built-in NVIDIA® QUADRO® GP100 graphics card and room for a second, the Z6’s knack for visuals is hard to beat. When you need to seriously boost your workflow, both the Z4 and Z6 have undeniably impressive room for growth and a convenient tool-less design. If you’re ready to upgrade or looking for a one stop shop, look no further than the HP Z Turbo Drive Quad Pro 512GB SSD for extra processing power. Offering a combined four HP Z Turbo Drive G2s into a single PCIe x16 card, you’re thoroughly protected in an emergency and set up to blaze through whatever work throws your way. Need even more graphics performance? Whether your focus is on manufacturing design or virtual reality, we can help. To keep up with the most rigorous design projects, both the Z4 and Z6 can be upgraded to accommodate a super-versatile AMD Radeon Pro WX 7100 8GB Graphics Card. Designed to mount in a single slot thanks to AMD’s new Polaris architecture, you can easily boost your visual experience and optimize your setup across multiple displays. Easily juggle multiple applications simultaneously without breaking a sweat thanks to the efficient design of both the Z4 and Z6 hardware and interior layout. Even when work gets hectic, our revolutionary thermal innovations and enhanced ventilation mean you’re always ready to go and not making too much noise along the way. But future-proof doesn’t mean disaster proof. Fortunately, it’s easy to relax with HP’s standard three-year warranty protection covering parts, labor, and on-site repair to keep you on track. Build your business around an HP Z4 or Z6 for total security and the assurance of quality that can only come from this line of workstations.